You can also listen to the Narrated Mr. Dalek Goes for a Glide MP3(2,380 KB). This is the sad story of Mr Dalek. 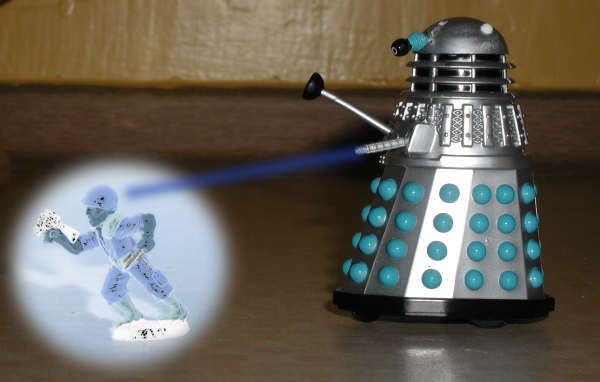 The trouble was that Mr Dalek could not help being an evil toy. 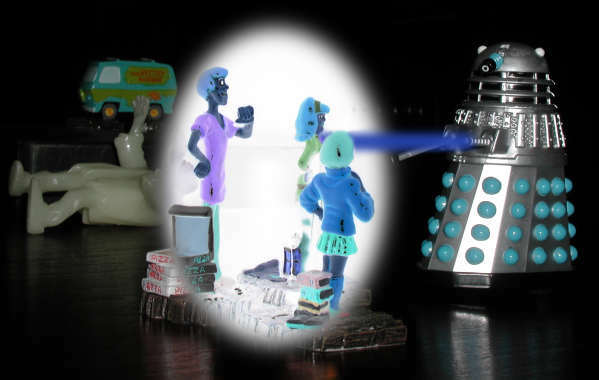 If there was another toy for Mr Dalek to be evil to, he would be evil to them all right. 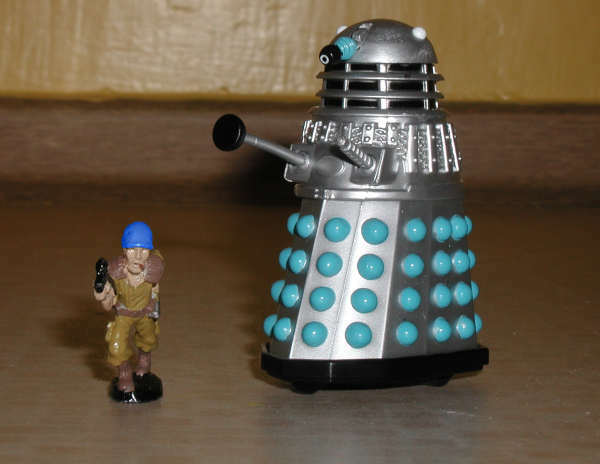 If you were to see Mr Dalek gliding around a room in your house, and if there happened to be a little toy to be evil to in that room, then you know what would happen, don't you? Mr Dalek was just the same in his own room. He lived in an extremely nice room, but even there he couldn't help being evil to the other toys. 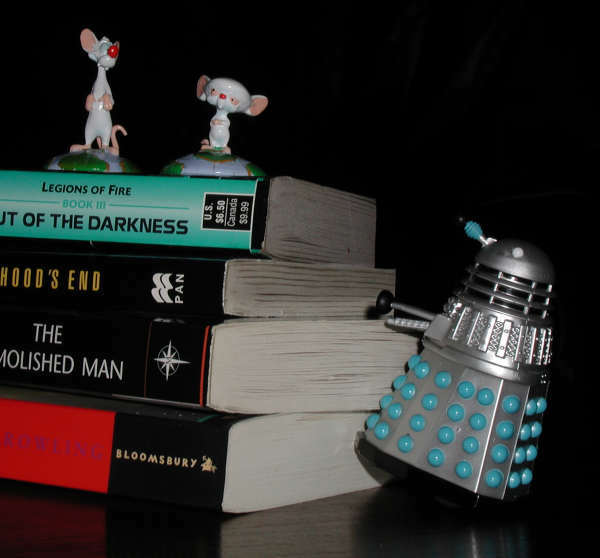 Mr Dalek was sad that the other toys didn't like him, so he had a splendid idea. He would try to be nice to the other toys. 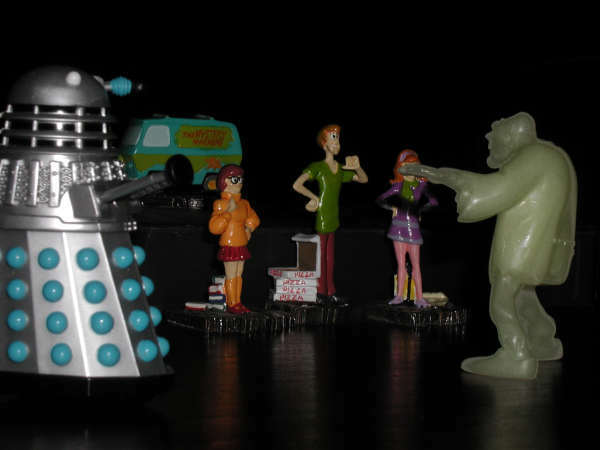 When Mr Dalek met Velma, Daphne and Shaggy being chased by the Creeper, he decided to help the three of them. "Jinkies! We were just playing!" said Velma. "Like, that's totally uncool man - he was, like, my second best friend!" said Shaggy. Mr Dalek felt sad again, so he decided to cheer himself up. You know what happened next, don't you? 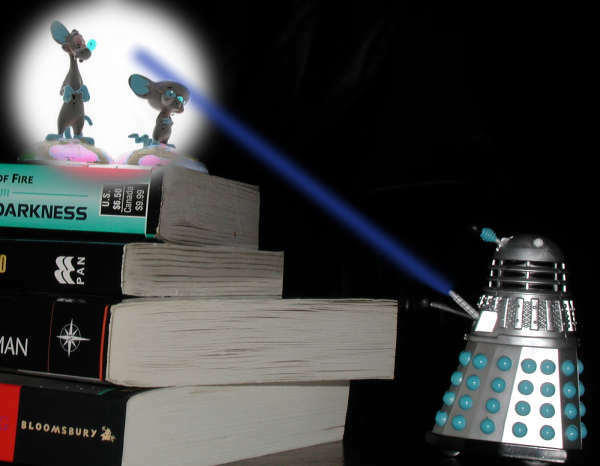 In order to recover from this rather unfortunate happening, Mr Dalek decided to help Pinky and the Brain, who were trying to take over the world. At first they worked well together but soon problems began to arise. Mr Dalek, being a toy, could not hover so he couldn't climb over obstacles. 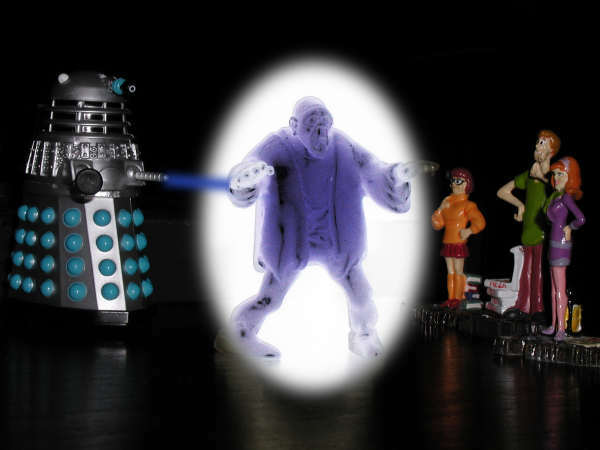 When the Brain insulted Mr Dalek, well, can you guess what happened? 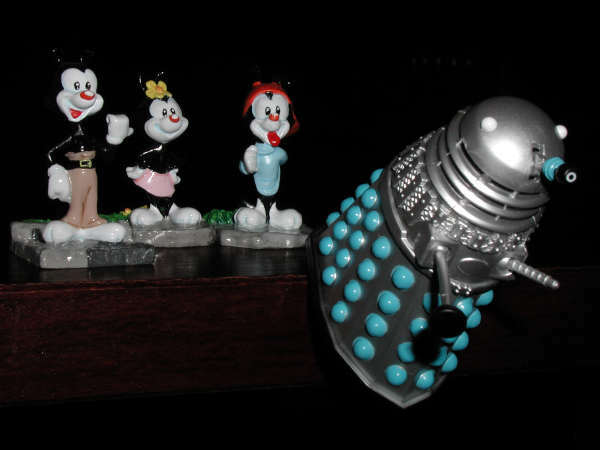 Three of the remaining toys, Wakko, Yakko and Dot, were very angry with Mr Dalek, who exterminated their friends. So they decided to creep up on Mr Dalek and push him off the side of the cupboard. 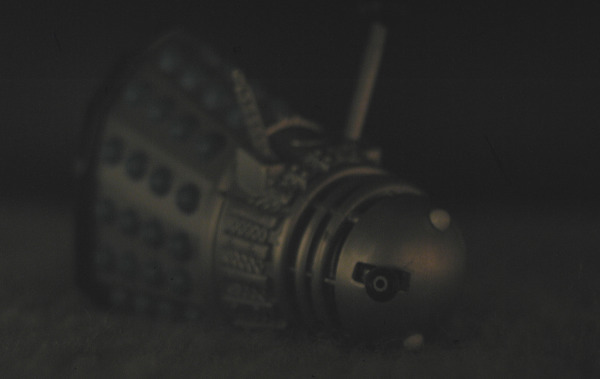 Mr Dalek found himself trapped behind the cupboard, lost and forgotten, with no way back up. So you see the story of Mr Dalek is a very sad story indeed. And if you ever exterminate anyone you know what to do, don't you? Go and exterminate everyone who doesn't like you, and then you won't suffer the same fate as Mr Dalek. You'll remember that the next time you exterminate someone, won't you?